Delta Dental of Kansas updates to Participating Dentists. Dr. Sullivan assumed his role over Professional Services on January 25, 2019 reporting to Michael Herbert, President and CEO of Delta Dental of Kansas. 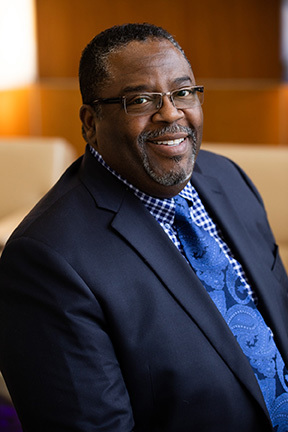 Dr. Sullivan has executive oversight of Professional Relations and Professional Review and is responsible for setting clinical policies, and overseeing network development, utilization and quality management. Dr. Sullivan’s career is extensive. He most recently served as the Chief Dental Officer at Envolve Dental. Previously, he served as Director of Professional Services for Delta Dental of California, Dental Director/Clinical Director at Blue Shield of California, Chief Dental Officer at PacifiCare Dental and Vision, as well as Vice President of Sales and Professional Relations at United Concordia Companies, Inc.
Dr. Sullivan received his DDS from the University of Illinois at Chicago College of Dentistry, and his MBA from the University of Illinois, Chicago. Dr. Sullivan owned and operated a dental practice that focused on treating patients with obstructive sleep apnea and TMJ disorders. He is currently licensed to practice dentistry in 11 states, including the state of Kansas. Delta Dental of Kansas is looking for Participating Dentists interested in becoming Regional Dental Consultants. Delta Dental of Kansas obtains second opinions through its Regional Dental Consultant network. A Regional Dental Consultant conducts clinical examinations, prepares objective reports of dental conditions, and evaluates treatment that is proposed or has been provided at the request of Delta Dental of Kansas. Interested candidates must be a Participating Dentist with Delta Dental of Kansas. It is our goal to have Regional Dental Consultants in all areas of the state. If you are interested in being a Regional Dental Consultant, or have additional questions regarding the opportunity, please send inquiries and resumes to consultant@deltadentalks.com. When we are aware of a Delta Dental of Kansas member's upcoming termination date, we will provide that information within the Dentist Account. If there is no known termination date, you will only see the enrollment start date. In the past, when viewing your patient's benefits near the end of their plan year, your patient's benefits would reset a few weeks before the actual end of their plan year causing confusion. 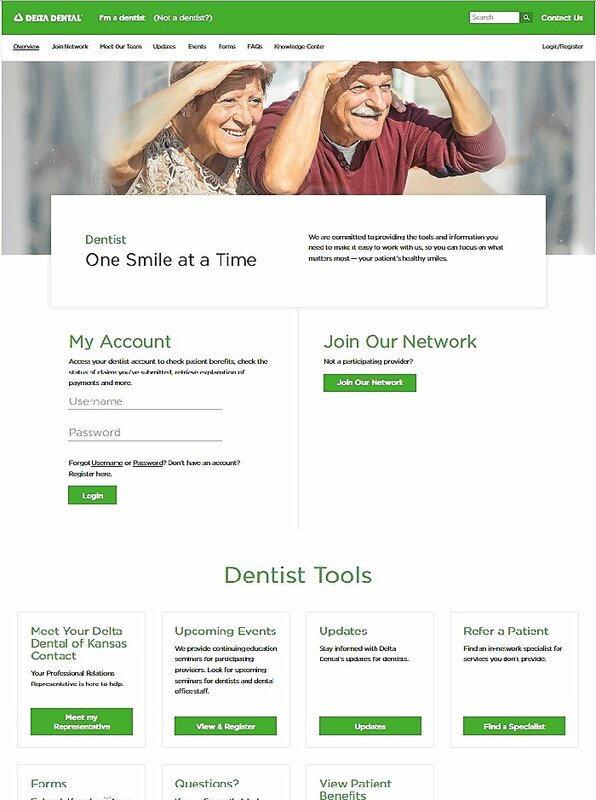 We have updated your online dentist account experience so you will only see your patient's current benefits. Delta Dental of Kansas is proud to announce a $20,000 donation to the Kansas Society for Children with Challenges in support of their work on behalf of the dental needs of children from low income Kansas families. The Society helps to assist low income families located anywhere in Kansas to assist with offsetting some of the costs associated with pediatric dentistry. Dental offices or parents can contact the Society to inquire about financial support. If the family meets the funding guidelines, the Society can often help with all or a portion of the dental work being done on the child. To refer a family, please call the Society at 316-262-4676 or outside the Wichita area at 800-624-4530. Help us recognize great work! The Professional Relations team rewards DDKS Customer Service team members who have provided dental offices with excellent customer service through the Happy Office Acknowledgment Program. You can nominate a Customer Service team member by telling us about your great customer service experience with DDKS. Please send an email to pr@deltadentalks.com with the name of the DDKS team member, the date and time of your call, your name and dentist/office name. Stay tuned for an update of when the redesigned site will launch. KMOM will be at Pittsburg State University this year. Visit ksdentalfoundation.org to learn more. Dental Office Changes or Updates? Please notify us.